Книга "Highly Recommended. Level 2. Workbook"
Характеристики книги "Highly Recommended. Level 2. Workbook"
English for the hotel and catering industry. 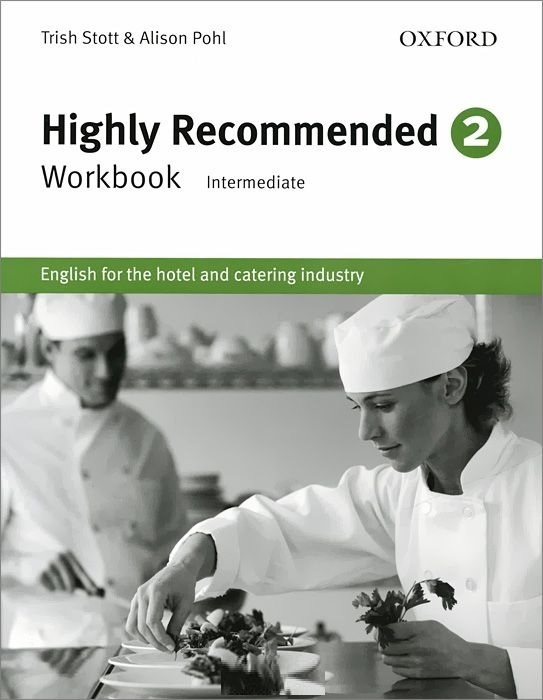 Highly Recommended is a popular course for trainees in the hotel and catering industry who need to communicate in English. Learn the English you need to do the job. Practise functional language in real work situations. Learn hotel and catering vocabulary on every page. taking reservations and checking in. dealing with enquiries and problems. This Workbook contains further exercises and activities for the classroom or self-study. Разделы, в которых можно купить "Highly Recommended. Level 2. Workbook"